Compositedge is a well know Discount broker with having their registered office in Bengaluru. Lets have a detailed understanding of Compisitedge Demat Account, Compositedge Brokerage Charges, Compositedge Trading Platforms & other features. 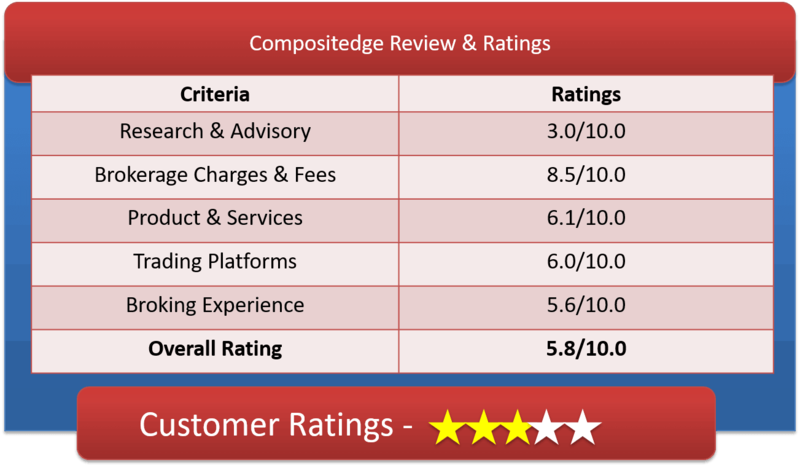 Compositedge, a division of Composite Investments Pvt. Ltd.(CIPL). They are member of NSE, BSE, MCX-SX, NCDEX and MCX for trading in Stock, Commodity as well as Currency. Their brokerage of Rs 18 per executed order for first 1000 trade orders and Rs 15 for next 1001 and above orders looks amazingly good. As far as customer service is concerned, clients do not need to worry much. Composite edge works to provide best available customer service to their clients through Calls, email and live chat during market hours. Composite Investments Pvt. Ltd provides online payment facility using “NOW” trading platform and “Accounts Access system”. You can transfer funds from your Bank directly to our account by click of few keys. Transferring funds is instant at free of charge if you have account with these four banks: Axis Bank, HDFC Bank, Kotak and ICICI Bank. With other banks funds can be transfer immediately with additional charge of Rs.15 +GST. They also offer referral program where you can refer friends, fellow traders, family and colleagues to earn 10% of brokerage charged from your referral made. Opening Demat Account with Composite edge is a quick and hassle free process. One day process and no minimum amount balance is required to open a account. Compositedge is low-cost platform for trading. Their brokerage charges are fixed at Rs.18/- per trade irrespective of the size of the order. Threshold brokerage charges – first 1000 @Rs18 per executed order and from 1001 onwards they will charge you Rs 15 per trade. Compositedge charges are higher than SASOnline( @ Rs 9 per lot), RK Global (@ Rs 9 per lot) plan,Wisdpom Capital (@ Rs 9 per lot),My Value Trade(@ 10 Rs per lot),Trade Smart Online(@ 15 Rs per lot) and lower than its close competitors like Zerodha (@ Rs 20 per lot),RKSV (@ Rs 20 per lot),Tradejini (@ Rs 20 per lot) plans. The Numbers of order are counted across the segment. So once you complete your 1000 trades with Composit edge, you become special member thereafter you will be charged @15 Rs per trade. 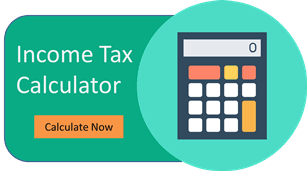 Online fund transfer – 15 Rs per transfer plus GST if transferred from banks except special four mentioned above. Call & Trade & Deliveries from expiring futures & options positions in BSE will be charged Additional Rs.18/- per order. Minimum contract charges are levied at Rs.10/- per contract per segment ie means you have to pay brokerage of Rs.10 if your calculated brokerage is less than that. Index Options and Fututres contract- 3% of the notional value of a futures contract. In case of options it is charged only on short positions and is 3% of the notional value of open positions. Option contracts & Futures Contract on individual Securities – The higher of 5% or 1.5 standard deviation of the notional value. Why to Open Compositedge Demat Account? 18 Rs or 15 Rs Or 6 paisa per trade, really cheap. Fully Automated Trading (Algo Trading) option available. Fund transfer is free from 4 major banks from NOW platform. Live chat with customer support for instant redress of query. The trading platforms available are Trader Workstation (for high frequency traders), Web Trader (for casual traders) and Mobile Trading Platform (for people who are on the move). Compositedge uses Nation Stock Exchange’s NOW (NSE on Web) as its trading platform. Compositedge in partnership with Global Data Feeds has launched algo trading as well. Trader workstation uses trading platform NOW. With this you can trade across NSE and BSE. You can trade in derivatives and Currency, Mutual funds and IPO’s on the same platform. Compositedge trading platform provides Technical Analysis Software NEST PLUS PLUGIN for Brokers. Through this a trader can build his personal expert advisers (EA’s), trading systems and automate the signals on NOW TERMINAL using this plug-in. Web Trader is meant for casual or long term investors who are not daily traders. This platform lacks analytical tools. NSE Mobile Trading system provides an application suite that features comprehensive trading and market monitoring platform. It offers real time streaming quotes, with simple and user friendly interface. The interface can be downloaded at no additional cost. The application works with almost all mobiles- Blackberry, JAVA, Android and iPhone. Compositedge’s Nest Starter Pack has three powerful tool that benefits you by providing with some critical market data for absolutely no cost. NEST Pulse is a trading tool that allows a trader to trade based on technical analysis and over 40 technical indicators. It allows the user to write his own strategies. Nest Premium is a Advanced Charting tool. Plus Web Charts allow you to view advanced intraday and historical charts on the website itself. Compositedge provides active and knowledgeable investors the platforms and tools one needs to succeed.